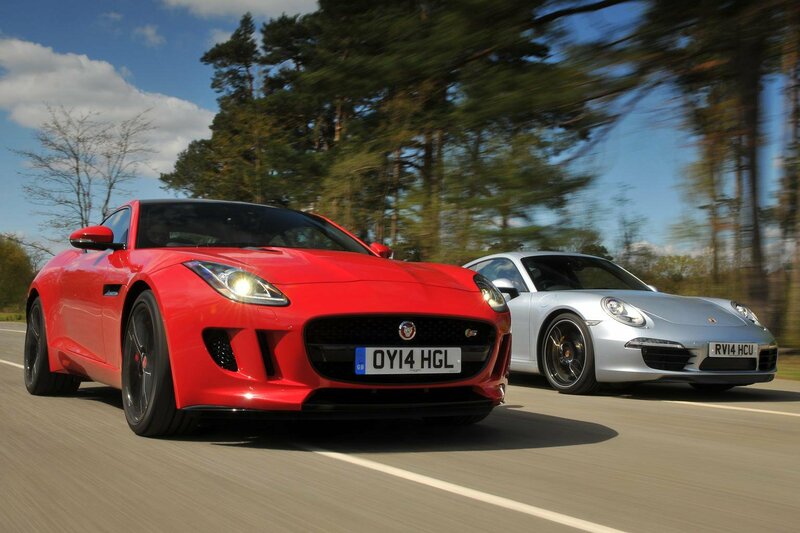 Jaguar F-type Coupe vs Porsche 911 | What Car? Age is a terrible thing. One minute you’re at the top of your game with an air of untouchability, then along comes the Next Big Thing, with new ideas and a sharper dress sense, promising to do your job for less money. So it is with the Porsche 911, a car that first appeared half a century ago and has pretty much ruled the roost ever since. Now it faces competition from the new Jaguar F-type Coupe – the tin-top version of a car we already know and love. It’s not just more powerful than its German rival, it’s a good deal cheaper. These two have the sort of pace to embarrass Ferraris and Lamborghinis of just a few years ago, and they don’t rely on huge V8 or V10 engines to deliver it. The Porsche’s 3.4-litre flat-six engine doesn’t even have a turbocharger or a supercharger and yet still pumps out 345bhp. It sounds epic, too, growling at low revs and howling loudly enough to genuinely hurt your ears as the revs climb past 7000rpm. The optional sports exhaust (£1773) allows you to make the 911 sound even more anti-social at the touch of a button. Meanwhile, the Jaguar’s supercharged 3.0 V6 engine musters 375bhp. However, the F-type is fair a bit heavier than its German rival. That’s why it did 0-60mph in 4.7 seconds in our tests, compared with 4.3 seconds for the Porsche. Granted, our test 911 was fitted with the optional Sport Chrono package (£1085) which, among other things, adds a function that allows the Porsche to get a perfect start off the line – every time. Even taking this out of the equation, though, the 911 is the faster car. The F-type goes about its business even more noisily than the Porsche. It howls loudly even when you’re just bumbling around town, and the exhaust spits and pops every time you lift off the throttle – especially if you engage in Dynamic mode, which open up flaps in the exhaust to let you hear it that bit better. Even in the Dynamic setting, though – which also sharpens the throttle response and makes the steering heavier – the F-type can’t live with the Porsche through corners. Turn the Jag’s wheel and there’s an obvious pause before the nose of the car reacts, which you simply don’t notice in the lighter and stiffer 911. The Porsche also stays flatter through tight twists and turns and ultimately it’ll tear round corners at a pace that would have the F-type sliding off the road. It’s just a pity the Porsche’s steering isn’t a bit more involving. It’s impossible to fault for accuracy and always weights up reassuringly as you turn in to bends, but it just feels a bit sterile. The Jag’s steering is lighter but no less precise, but you still don’t get the sort of sensation through your fingertips that you would in, say, an Audi R8. 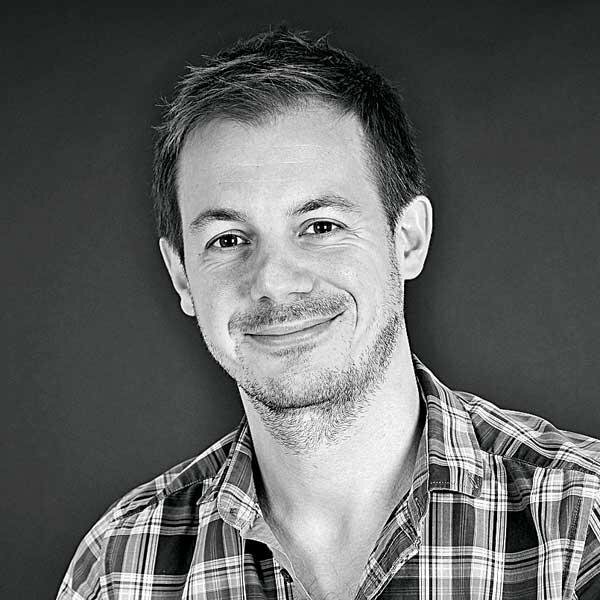 The F-type gets an eight-speed automatic gearbox, which is smooth and intelligent most of the time. Take control using the steering wheel paddles, though, and the gearbox doesn’t always react quickly enough to your instructions. Not ideal when you’re pushing hard along your favourite B-road. Meanwhile, the Porsche’s seven-speed PDK automatic ’box responds instantly to commands and is just as smooth and good-natured as the Jag’s when you’re driving sedately. In the past, we’ve criticised the 911 for its wooden ride, but add the optional PASM adaptive suspension (a £1133 option fitted to our test car) and it’s actually more comfortable than the F-type. You’re jostled around less on the majority of roads, even though the Porsche’s firmer set-up means you feel more of bigger bumps. In the grand scheme of things, though, these are two of the most cosseting sports cars on the market. Gone are the days when living with a sports car meant constant backache. In fact, the Porsche’s cabin is more comfortable and classy than most executive saloons’ – it has a brilliant driving position and there are seriously plush materials everywhere you look. Climb aboard the F-type and there’s a lot more theatre. Press the orange start button and heater vents rise dramatically from the dashboard, while a chunky central grab handle seems to fence the passenger off from the dashboard controls. However, start prodding some of the plastics and you’ll quickly realise they aren’t as lavish as those in the Porsche. The F-type’s seats aren’t as comfortable of as supportive as the 911’s, either. The Jaguar’s touch-screen infotainment system is another triumph of style over substance, because while it looks flash and modern, it’s actually quite annoying to use – mainly because of its complicated menu system. The Porsche’s system is much more user-friendly. You can control it using a rotary dial as well as by pressing the screen itself, but either way it’s quicker to respond and more intuitive. The F-type is a strict two-seater, and while the Porsche does have a couple of rear seats, these are best reserved for baggage – adults simply won’t fit in them, and even small children won’t enjoy a long journey. That said, Porsche will sell you an Isofix child seat that’s designed to slot perfectly into the sculpted rear bases, meaning those with young kids can take the Porsche on a odd family outing. Better still, the 911’s rear seats can be folded down. This opens up a flat ledge under the rear screen, which you can use to carry surprisingly long items – a set of skis or a golf clubs will fit easily. The Porsche’s main boot is in its nose, though. The space is too narrow and short for a big suitcase, although is plenty deep enough for a couple of overnight bags, or a piece of aeroplane hand baggage. The Jaguar, meanwhile, has a single boot in the usual place, which is shallow, but will swallow a set of golf clubs if you take out any woods and slot them in separately. There’s even a handy underfloor cubby to keep fragile items out of harm’s way. What will they cost me? The Jag undercuts the Porsche by nearly £15,000, and that’s a lot of cash – even for those lucky enough to be in a position to choose between these sports cars. In the past, the flipside of owning a Jaguar would have been heavy depreciation, but the new F-type Coupe has been so well received that our experts predict it’ll hold its value even better than the 911 during the first 36 months. True, the Porsche officially uses slightly less fuel (34.4mpg vs. 32.1mpg) and is cheaper to insure, but all things considered it’ll still cost you nearly £7500 more to own assuming you buy now and sell after three years. Porsche isn’t known for its generosity when it comes to standard equipment. You have to pay extra even for the sort of stuff you get as standard on a mid-spec VW Golf, such as rear parking sensors, cruise control, a multi-function steering wheel and Bluetooth. The F-type Coupe gets all of the above, but then Jaguar charges extra for climate control, which the Porsche gets as standard. Leather seats and sat-nav are standard on both cars, but you’ll pay to add automatic headlights and rain-sensing wipers whichever car you choose. The F-type Coupe might be the new car here, but you’d swear it was the other way around. It’s undoubtedly fun in an old school and slightly unsophisticated fashion, but the 911 remains the better sports car – it’s faster on the straights and through the corners, while being more entertaining when you want it to be and easier to live with the rest of the time. So, while the F-Type Coupe is certainly worth a look if you’re happy to sacrifice some ability for those drop-dead gorgeous looks (and a slightly healthier bank balance) the Porsche 911 remains the benchmark. Verdict Would beat most other sports cars. Easily.